I've achieved most of my successes through careful planning, surrounding myself with the right people, keeping a level head, staying resilient and training very very hard. Here are the highlights worth sharing with you all. 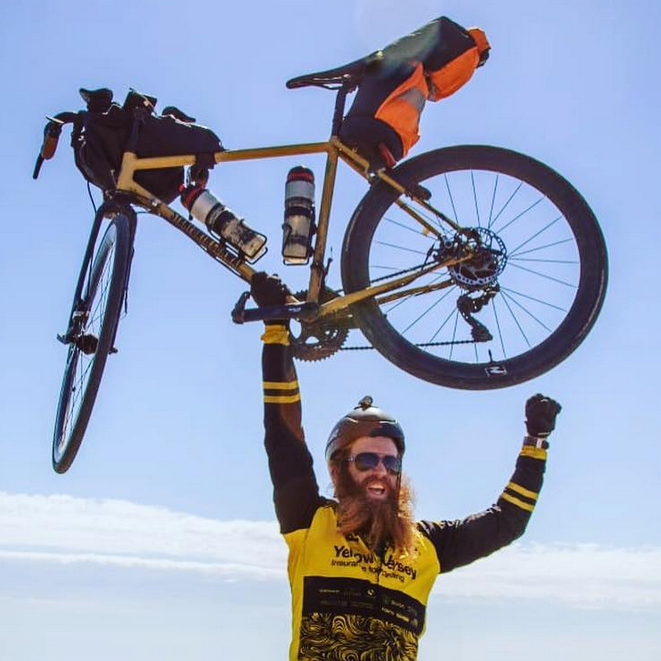 After a failed first attempt I eventually succeeded in cycling the 3890 mile route from Portugal to Russia in 24 days, 18 hours and 39 minutes. 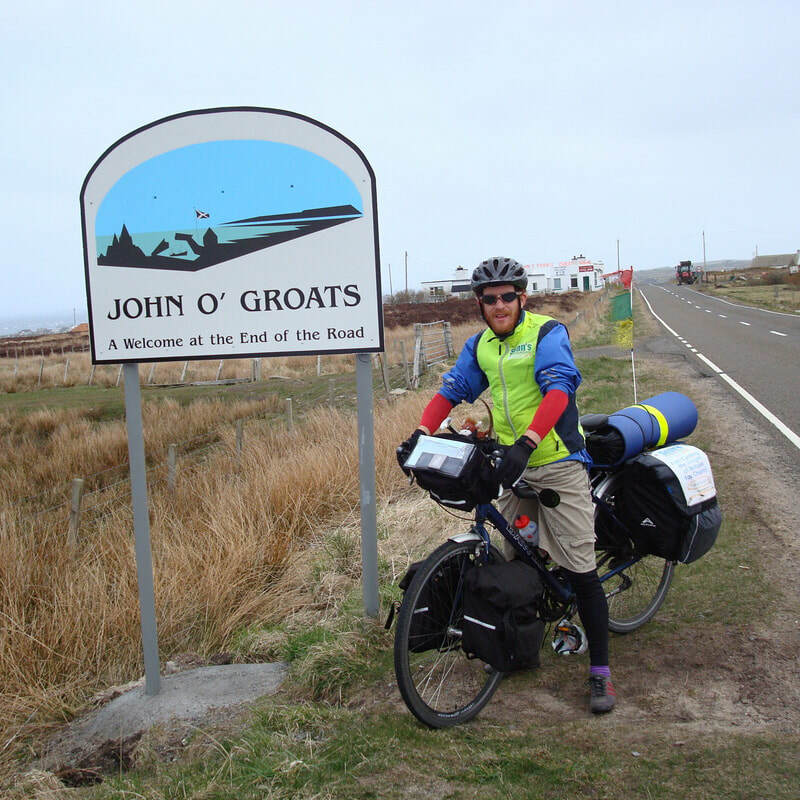 On the 1st April 2016 I set of on a 4200 mile triathlon around the coast of Great Britain. 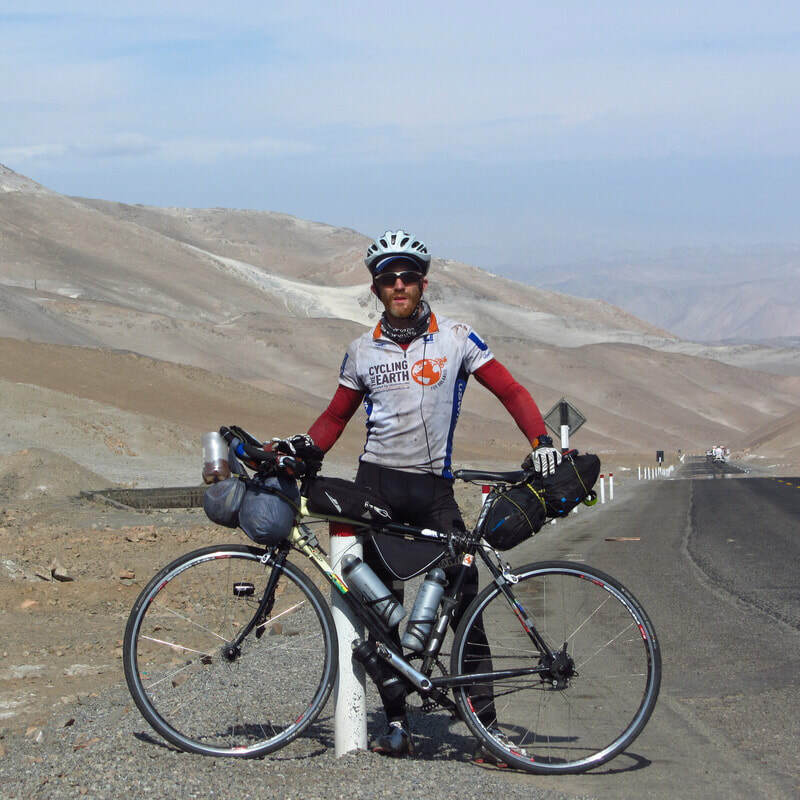 It was the toughest 85 days of my life as I attempted the entire feat completely self supported. 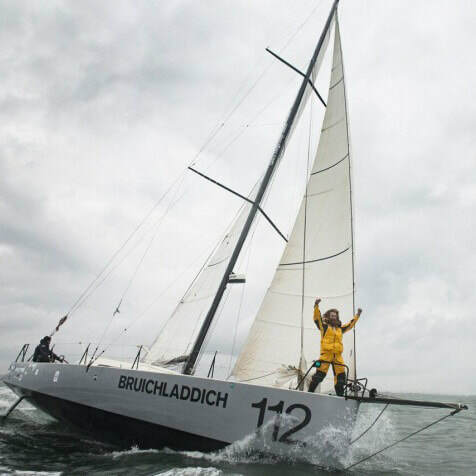 The 4th length of Britain attempt saw me and two of my mates sail the 700 mile route from Lands End to John O'Groats in 83 hours and 53 minutes - a new world record. I also nearly had a record for being seasick for the longest, an excruciating 50 hours. 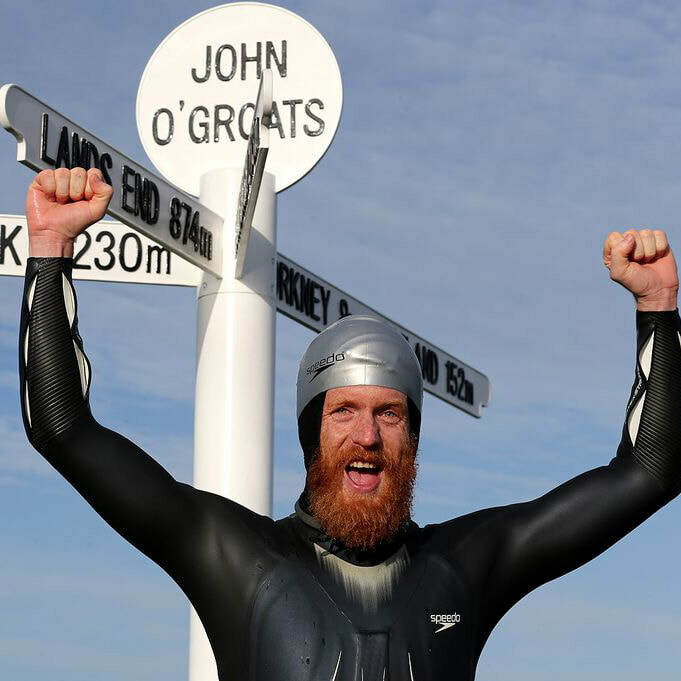 To complete the final leg of the worlds first ever length of Britain Triathlon, I ran 1011 miles from John O'Groats in 44 days fully self supported carrying everything on my back. Working my way up to 40 miles per day I explored as many trails through Great Britain as possible. 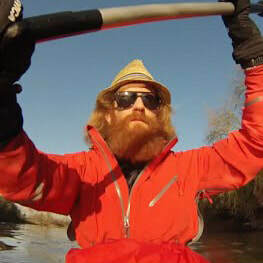 I decided to kayak down the Thames for 7 days starting the day after Boxing Day. Me and a few of my friends experienced the Thames freezing over and cold nights wild camping. But what a great way to see in the New Year. I have done this challenge twice and love it. It's one of the classic's. 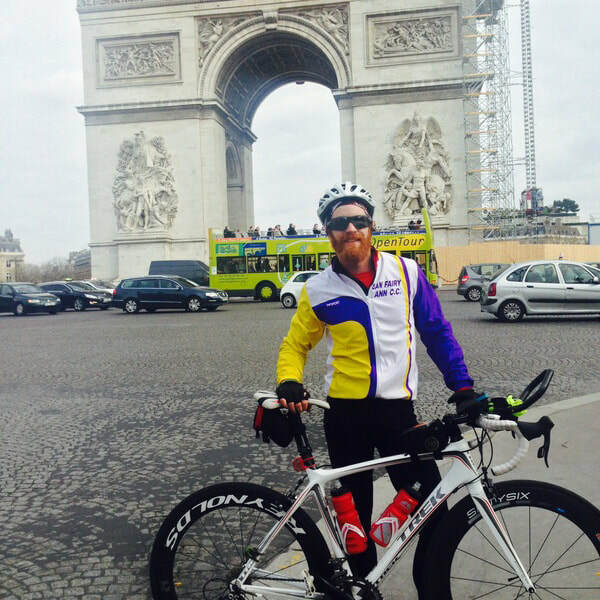 The idea is to cycle from London to Paris in 24 hours. The first time I did it I teamed up with my friend Sophie. Conditions were great but still a tough day on the bike. The world's largest open water swimming event. 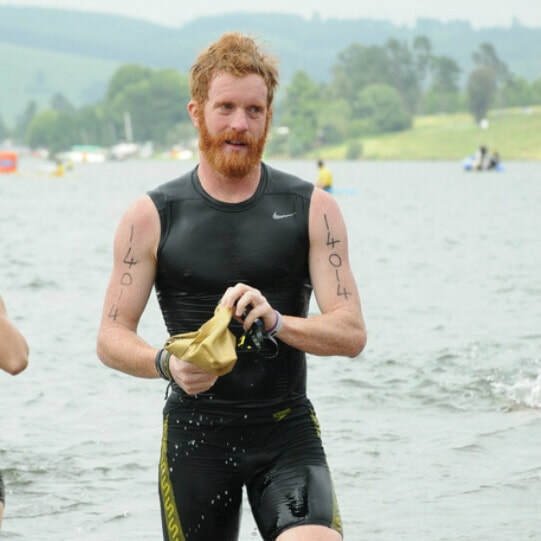 I completed The Midmar Mile in 1995 and then decided to do it again in 2014 but this he was going to up the stakes by doing all 8 events back to back. 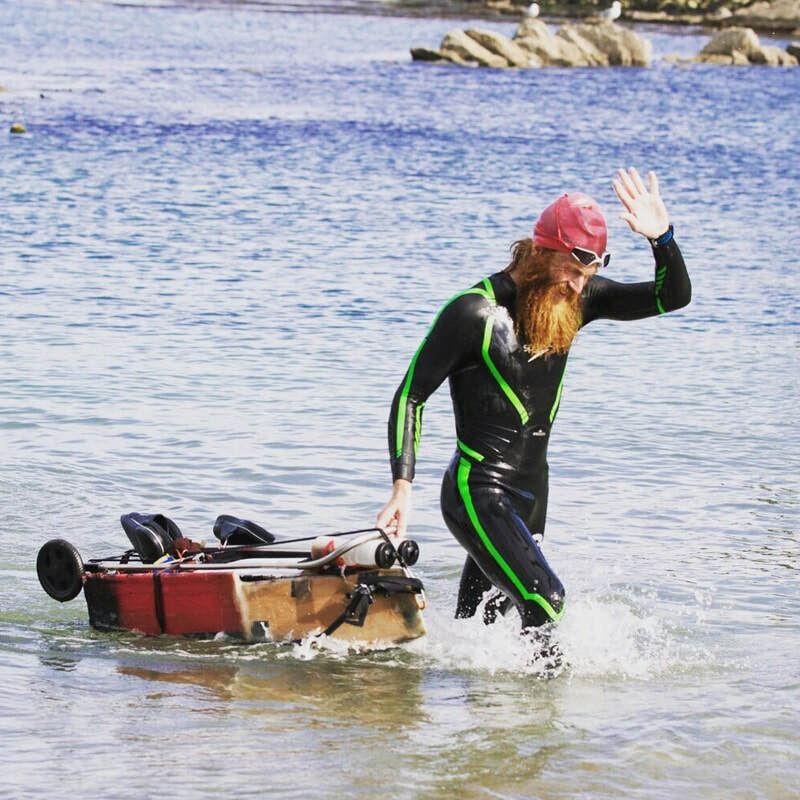 Swimming the length of Britain was a challenge that many thought impossible. 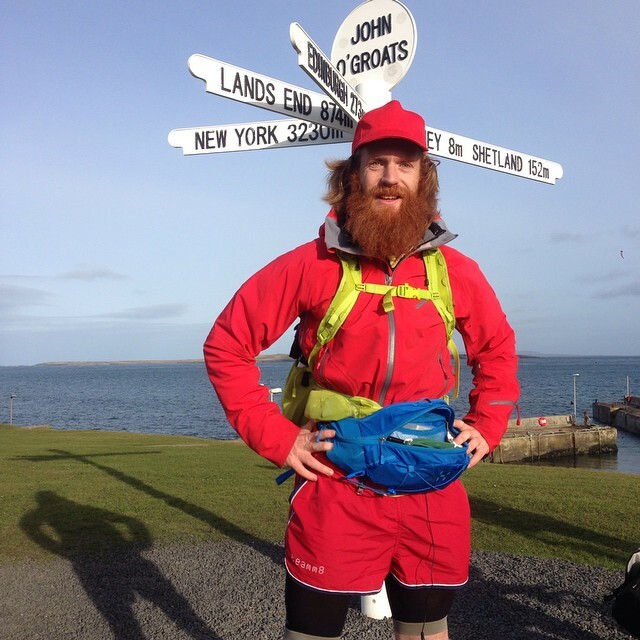 Sean disagreed and spent 4.5 months at sea proving it could be done. He grew his beard to shield himself against jellyfish. 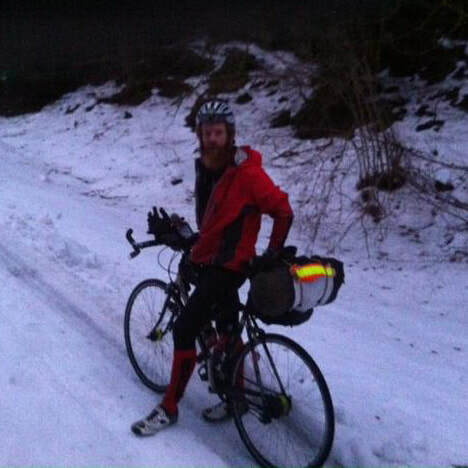 My friend Jez and I decided to cycle to the Alps for cheaper then the flight. The conditions were horrendous but it landed up being one hell of a (wet) adventure. Yes, this is also in the 'Hiccups' section because I didn't achieve the original goal. I still do count it as a huge success because it was the first big challenge I attempted and carrying on after my injury gave the confidence to go off and attempt even bigger challenges in the years to come. 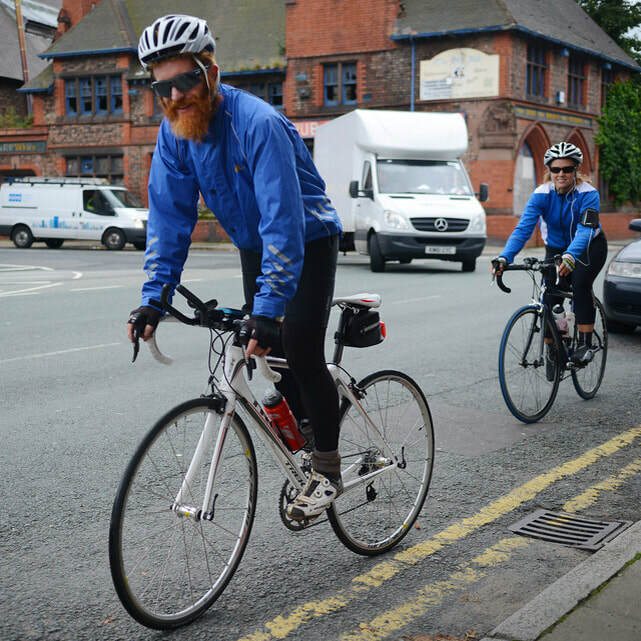 The goal is to try and climb the highest peak in Wales, England and Scotland while cycling the 430 miles in-between them. I teamed up with my friend Sophie to try and complete the challenge in 60 hours. Not record pace but hard enough to make it that much more rewarding. 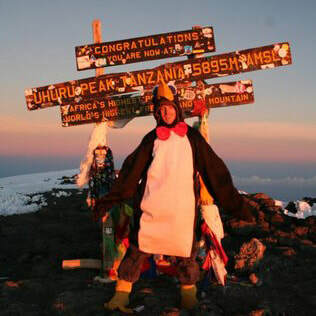 To raise money for charity I decided to wear a penguin suit to climb up Kilimanjaro. It was a stupid idea - but I did it. Not every success has to be a grand adventure or idea. Sometimes it can be something silly. The best 23 seconds of my life. 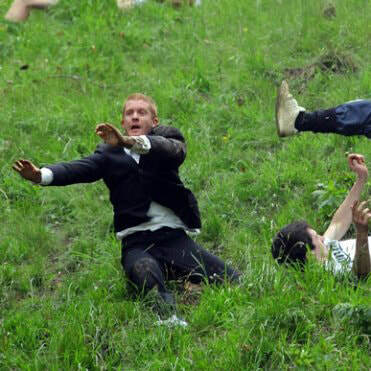 I competed in the infamous Gloucestershire Cheese Rolling Competition, a 200 year old tradition. I still suffers to this day with the injuries I sustained that day - but I survived and will have an awesome pub story for life. The ride that started it all. 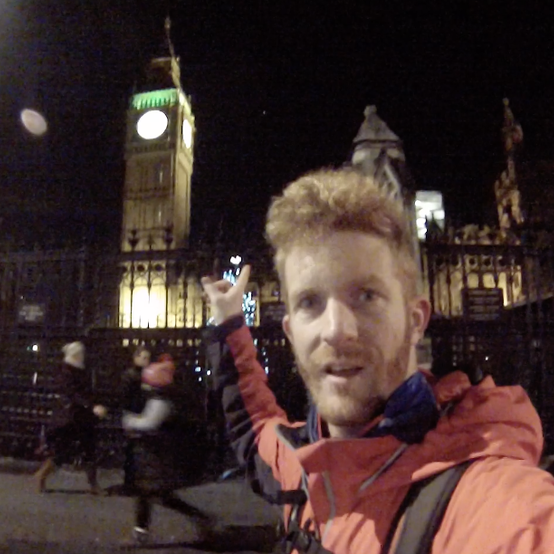 With no money to go abroad, I decided to spend a month cycling the length of Britain. The problem is I didn't even have a bike and had no cycling experience at all. It took me a long time.